My first collaboration in a Tarot newsletter. Lately I’ve been looking for ways of expanding my work and skills and… It finally came! 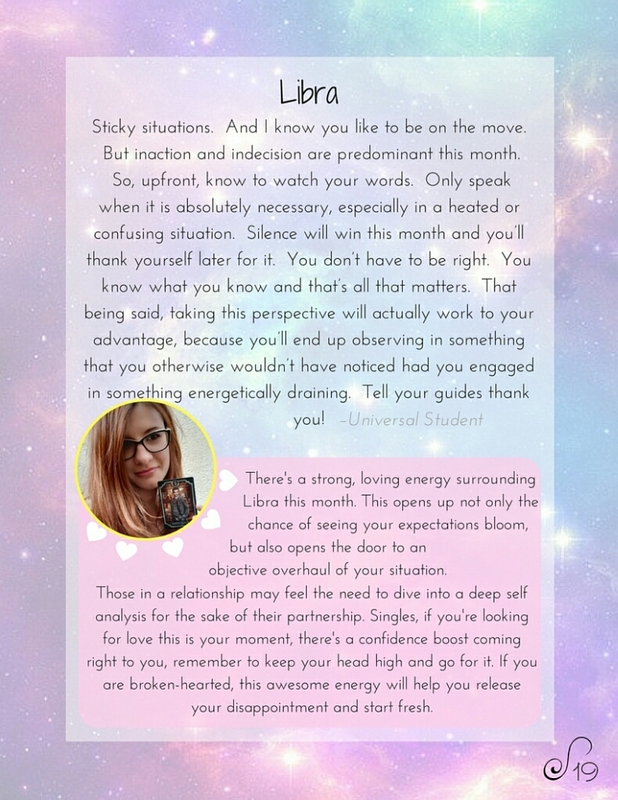 I am extremely proud to present my Libra Romance Taroscope, which is part of Universal Student monthly newsletter. Previous postKipper card 10 – Journey. Next postRead about Mia thanks to Willows East.